>> Breadcrumb :Home/Audio news/Stereophile/Herb Sez: Get the AXPONA App! Folks, if you’re traveling to Chicago to attend the 2019 Audio Expo North America (AXPONA), you’ve got to have the AXPONA app. It’s free, and you can download it from a link on the AXPONA website. Last year, American audio shows felled more than ten million 100′-tall trees—just for their ink-on-paper floor plans. They had to reopen two nuclear power plants just to keep the elevators running in Las Vegas. The Chicago River backed up like a toilet—clogged by discarded show guides. 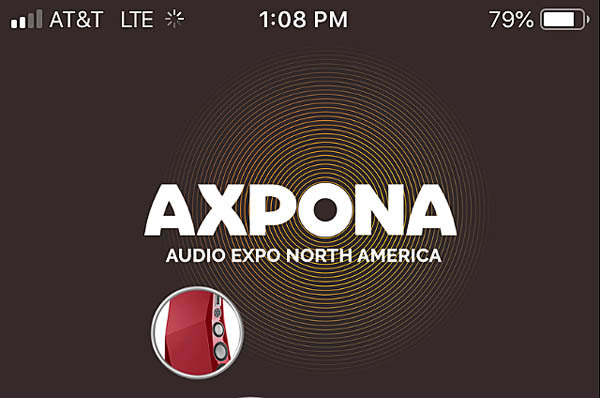 This year, all you need is a smart phone, the AXPONA app—and the stamina to visit almost two hundred rooms filled with some of the world’s finest, most exciting, new audio products. Are you ready? The self-service parking at Chicago’s Renaissance Schaumburg Hotel and Convention Center is free. The coffee and lunch options look reasonably priced and better than ever. Best of all, Chi-town is in the middle of everywhere, and a short flight from anywhere. I am already there. Our new editor-in-chief Jim Austin will be there. Our new technical editor, the venerable John Atkinson, will be there, as will Mikey and Jason. Come find us and chat: You’re invited!